Yet another proposal aims to get the state out of crisis. Listen to Tom Lisi's story. Though the language would sooner be found in an episode of Downton Abbey, the reality for Gov. Bruce Rauner and the 100th General Assembly sounds much the same. Rauner has made pensions and other pro-business reforms so central to his administration, his critics say it’s at the expense of a state budget. But some of those same critics, led by Senate President John Cullerton, are using a new pension reform idea in the Senate’s so-called “grand bargain.” It’s an attempt to get the state’s first budget in place since Rauner entered office. Now Illinois is $130 billion away from having its pension systems fully funded. The bulk of that debt is not the cost of the employee benefits. The Better Government Association found a handful of public employees enjoy copious retirement benefits well into the six figures — but the vast majority do not. Rather, the debt is the standing legacy of the 100-plus years of missed opportunity. Those contributions that Illinois never made could’ve sat in investments and banks, accruing interest and returns — namely the world’s postwar boom that has only lately started to subside. Public employees are in the political crosshairs through no fault of their own. “I know it’s convenient for certain interest groups and certain politicians to blame this on greedy unions, but it’s not. It’s a bipartisan lack of foresight,” says Bob Secter, director of investigations at BGA. Lately the whole idea of pensions seems to be cursed. In the book Retirement Heist, Wall Street Journal reporter Ellen E. Schultz details how in the 1990s and 2000s, large American corporations like General Electric held such large assets in their retirement funds, they started to look for ways to legally remove them from protected pension accounts and into the company’s bottom line. The newfound profits went to shareholders and executive bonuses. Illinois and other states, on the other hand, still operate under the older 20th-century social pact between employer and employee. When a worker gets hired by the state or school district, they enter into a contractual agreement that includes a guaranteed retirement benefit — payments that continue until you die. The laws that dictate corporate pensions are not the same as those that cover Illinois’ public pensions. Yet they have led to existential crises of both systems — in completely inverse ways. In the private sector, companies legally had to contribute annually to pension funds, but they could change the terms of the agreement. Once a loophole opened up the chance to convert pension money into revenue, it was off to the races. For Illinois, it has to pay out benefits that were agreed to when an employee was hired, but there is no legal mandate to make sound annual contributions to the fund. The state can short the fund every year while passing a complete budget. And it has. Almost every year since the days it could compare plans with Austro-Hungary. The hole is so unfathomably deep, past General Assemblies have tried various strategies to cut the promised benefits. 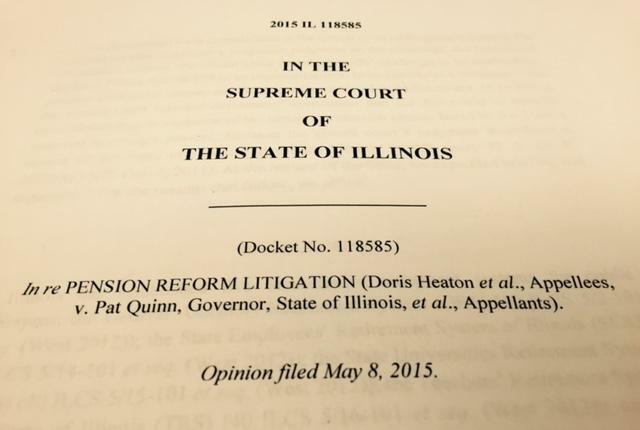 Twice now, the Illinois Supreme Court has struck them down. The reason goes back to the difference between those all-but-extinct corporate pensions and the threatened public ones. In the private sector, when you get hired for a job you’re entering into a contract. That contract says you will start with “x” salary, you will be eligible for “x” benefits offered, and other workplace policies — attire, speech, what’s expected of you to fulfill your position. But, either side at any point could change or cancel the contract. Employers can’t renege on anything you’ve already earned, but nothing you get in the future is guaranteed. Your health care contribution can change — if you don’t like it, you can quit and find another job. The slyness of GE and other companies featured in Retirement Heist got employees to agree to forgo the benefits they already earned by taking a buyout instead. Max Schanzenbach, a professor at Northwestern University’s Pritzker Law School, says the Illinois Supreme Court has removed the state’s retirement systems almost entirely from traditional contract law. 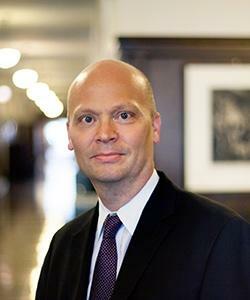 Max Schanzenback is a professor in Northwestern University's Pritzker School of Law. For agreements between most American employers and employees, future benefits and salaries that haven’t been earned yet by the employee are not guaranteed. “There’s been no promise or exchange made that would be a contract,” Schanzenbach says. 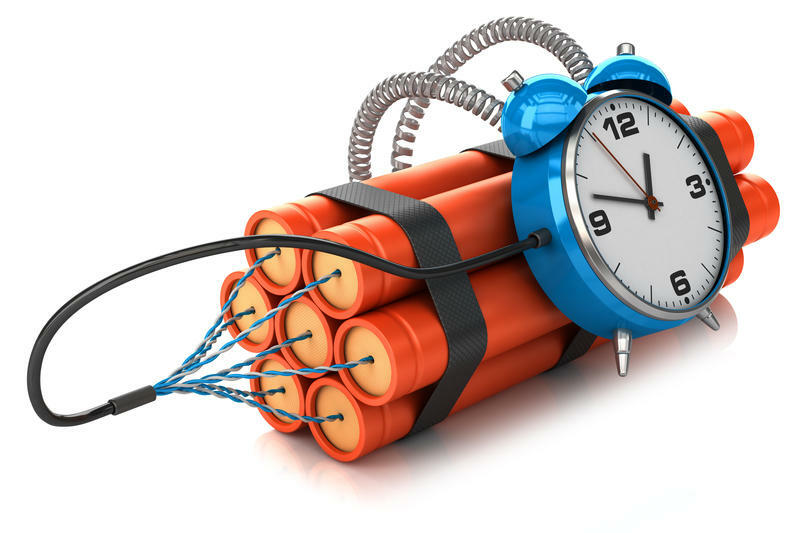 However, in California, Arizona, and Illinois, he says that “for whatever reason, [those] courts have interpreted similar provisions to protect not just accrued benefits but to actually freeze in place the benefits you were promised as of the date of your employment,” Schanzenbach says. Critics complain it doesn’t make sense the state can’t cut benefits, while it can add to them. Why does the state’s Constitution include such strict, locked-in language for pensions? At the 1970 Constitutional Convention, delegates were aware of a persistent problem in Illinois. Pension funds were suffering, and police and fire unions led a fight to protect their benefits. In the 1930s, when New York state was faced with the same problem, it established a new clause that made sure New York was stuck with the benefits it had promised. Under the threat, the state got its act together and shored up pension payments. Illinois delegates took the language from New York with the hope that if it worked there it could work anywhere.
. There was a plan made in 1995, when then-Gov. Jim Edgar sought to tackle the problem with a new funding structure to fix the problem within 50 years. 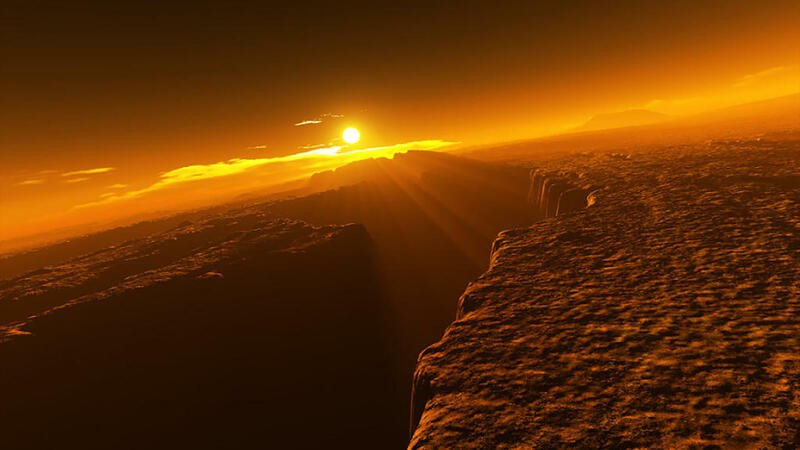 Conveniently, the beginning years fell below the recommended contributions from accountants. Though there was now a plan in place, the General Assembly ignored the guillotine it was raising over itself. Shortly after Edgar left office, the prescribed contribution levels jumped, and became too much for Illinois revenues to cover. The governor and legislature tried to reduce benefits twice under former Gov. Pat Quinn. In 2012, the Democratic governor tried to lower the subsidies the state was providing for some retirees’ health insurance plans. The state Supreme Court shot it down, saying benefits can’t be impaired or diminished, and those subsidies were indeed a benefit. Then, lawmakers swapped Quinn’s scissors for an ax and tried to curtail benefits across the board. The hope was the Court’s seven justices would agree that the state was so broke the General Assembly had no choice. Under Gov. 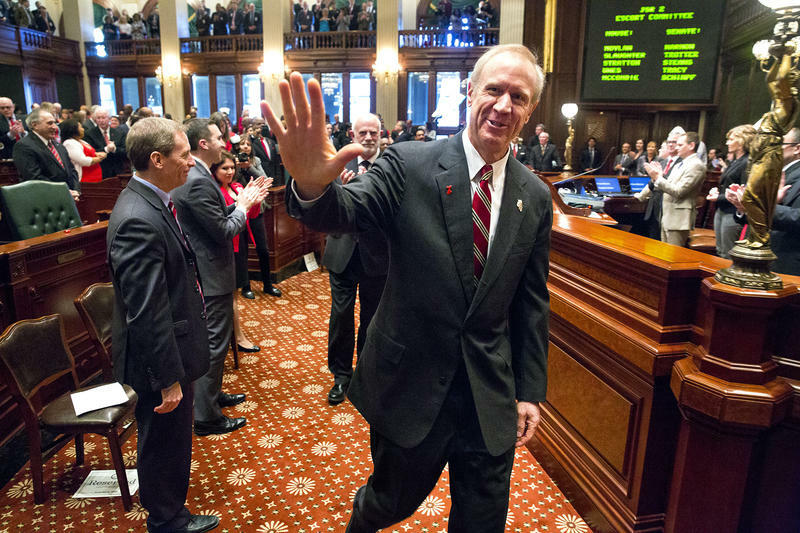 Bruce Rauner, Quinn’s temporary income tax increase expired. The problem on the revenue side grew worse. Cullerton has backed the consideration model for several years as a way to lower the state’s liability and meet the Supreme Court’s strict standards at the same time. The conceit of the model is this: if the Court does indeed take state employee benefits as a contract, then a contract it shall be. “Typically a contract could be modified if both sides agree. And the modification under very traditional contract law has to be supported by an exchange or a consideration,” Schanzenbach says. Traditional contract law looks a lot more like the employment agreements in the private sector where nothing is set in stone. If one side wants to change the agreement, they can, so long as the other party agrees. If one decides later they don’t like the deal after all, the other side can point to the deal and say there was an exchange — I got something, and in exchange you got something. If you don’t like what you got, sorry. A deal is a deal. That is “consideration” in the American legal system. Cullerton’s pension reform takes that idea and says a change can be made to the pension as a contract, and as long as there’s an exchange, it’s not being diminished or impaired. A deal is a deal, and consideration is enough. Even if it’s not necessarily a win-win, the exchange makes it valid. The version of the consideration model currently in the Senate purports to create an exchange by providing two options to every individual Tier 1 employee who has not retired yet. Any hire before 2011 falls into Tier 1. Judges, who have their own system, and the State Employees Retirement System (SERS) are not included. That leaves the three remaining state retirement systems: the Teachers’ Retirement System (public schools), the General Assembly Retirement System (past and current legislators) and the State University Retirement System (public university employees). In Option 1, workers agree to a smaller annual bump in benefits. Before 1994, the yearly increase was a simple 3 percent adjustment to base pension levels to account for rising living costs (or it matched inflation if that was a higher number). That was changed to a 3 percent bump with compounded interest — meaning, you would have that cost-of-living adjustment (COLA) being applied each year to a bigger and bigger base. Under this option, the compounded interest component disappears, and the model looks like the 1994 change never happened. Option 2: You decline Option 1, and you keep to the current pension formula as is — BUT — all the raises you receive from here on in are not included in your final base. The salary on which your pension is based is frozen. If you’re an employee, you don’t like either option because they both mean a smaller pension. But the consideration model says, yes, benefits can’t change once you’re hired, but salary raises are not a guaranteed benefit. Therefore, they don’t have to apply to the wage base on which your pension is calculated. As the Supreme Court spelled out, the health of the retirement systems ultimately is the responsibility of elected officials. The five retirement systems’ main defender is John Shapiro of the Chicago firm Freeborn & Peters. His primary argument says two bad options for employees don’t create an exchange. “There’s nothing voluntary or bargained for in the options offered to the employee. 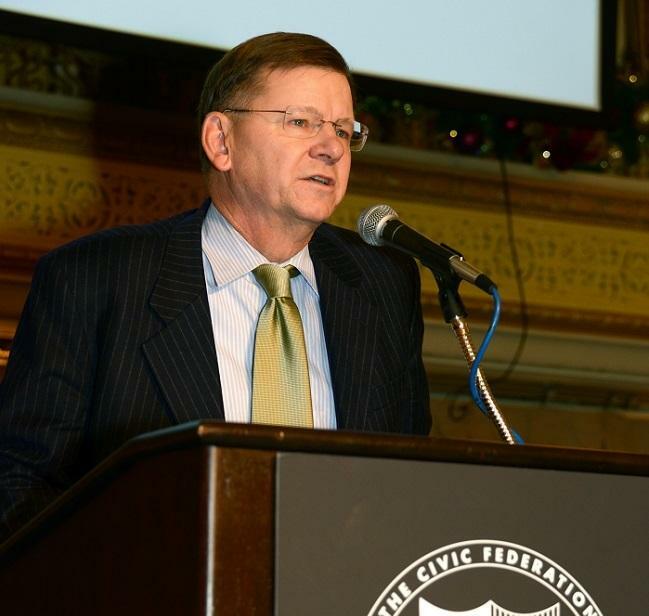 Each would eliminate a constitutionally protected benefit,” Shapiro says. In Cullerton’s corner is Eric Madiar, a former chief legal counsel in the Senate. Madiar’s writings say in Option 1, you’re not forcing employees to take a cut because they can choose to decline. If they decline they enter Option 2, which is not technically a cut because even though raises are part of pension formulas, they’re not a guaranteed benefit. So, as a state worker, while you may expect your highest salaries to be counted toward your pension, you cannot expect those raises. Madiar contends a 1952 New York state court decision says that a government employer does not grant pensionable raises “unconditionally.” To Madiar, that is a precedent for Illinois’ justices that raises are indeed not a guaranteed benefit. If the state Supreme Court continues to view the pension clause at face value — that it means what it says and says what it means — Shapiro believes the case ends there. Even if raises alone are not guaranteed, they’re baked into the way pensions are calculated, and those are guaranteed. In February, Cullerton presented this latest version of the consideration model for a Senate vote. 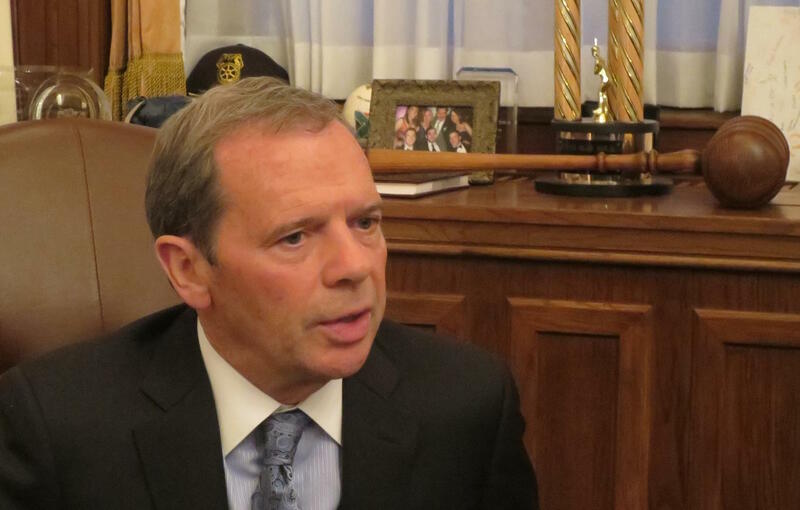 The measure failed, but Cullerton said he expects to bring it back for another vote. For Cullerton, the proposal is a major chip in the negotiation to finally get Illinois a budget. It is one of the carrots Democrats are offering to Rauner in exchange for getting the state back on track. Cullerton claims the model would save the pension funds $1 billion a year. But, will it ever take effect? As the Supreme Court spelled out, the health of the retirement systems ultimately is the responsibility of elected officials. But, the political cost to divert state money from elsewhere in the state budget to repair the damage done over 100 years is just about impossible to imagine such as the millions of dollars school districts alone would lose for a generation of children. The Supreme Court’s 2015 ruling essentially said the same thing. Tax increases are what generations of lawmakers avoided. One could argue Illinoisans enjoyed an artificially low tax rate and left their descendants with the problem. It’s as if a couple adopted an adorable bear cub, and once they died, their children inherited a 700-pound Grizzly. It’s hard to make up for so much lost time. The tax increases in Cullerton’s package, as politically volatile as they are, wouldn’t be enough. Experts who study pension systems are beginning to worry the forecasts on investment returns and demographic data are out of whack, and even the best-funded systems like those in Wisconsin could one day be in danger as well. Some union-backed Democrats have acknowledged the reality that public employees will have to swallow some level of disloyalty. After generations of incompetence, the chance to get what they were promised is just another casualty in the post-American 20th Century era. The private sector was first, and many voters don’t seem to think public employees should escape the same fate. 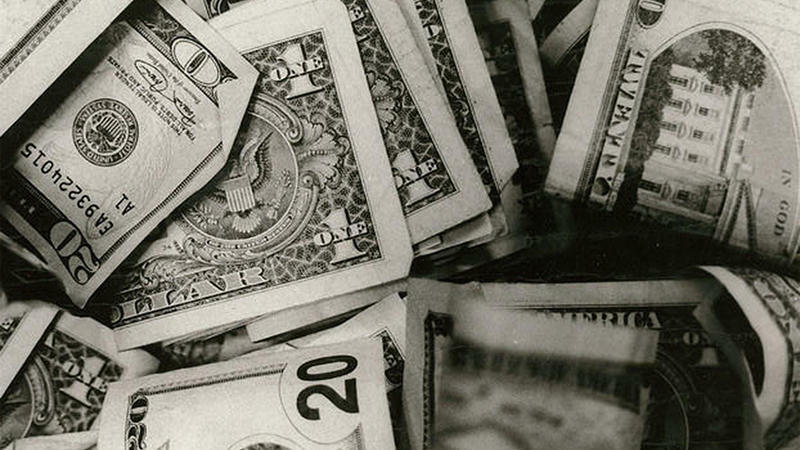 Illinois has more than $100 billion in pension debt. So far, attempts to fix it have been mostly illegal. 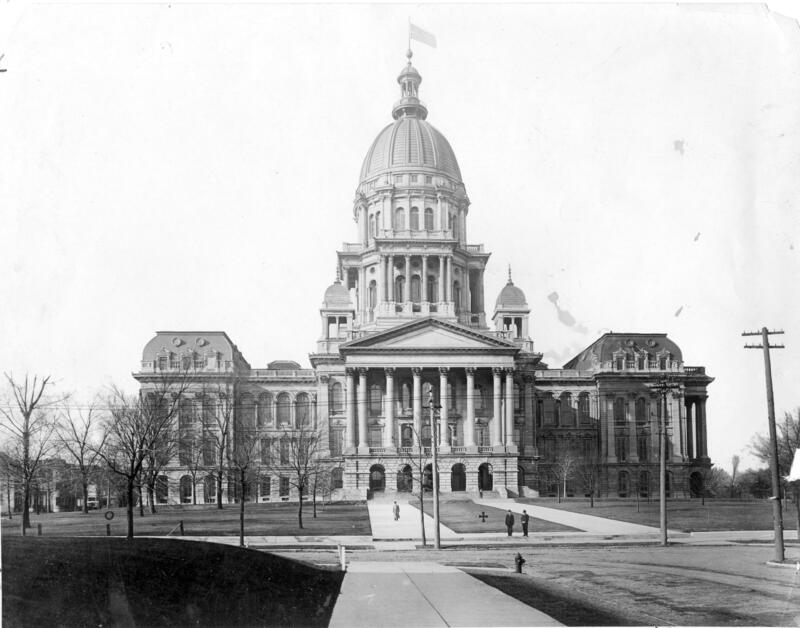 The Illinois House held its first hearing on Gov. Bruce Rauner’s proposal to address the state’s unfunded pension liability. Under the governor's plan, employees would keep all the retirement benefits they have logged so far, but would see a cut to their benefits going forward. Democrats on the House's pension committee said last week’s Illinois Supreme Court opinion, overturning pension changes passed two years ago, rules out that idea. 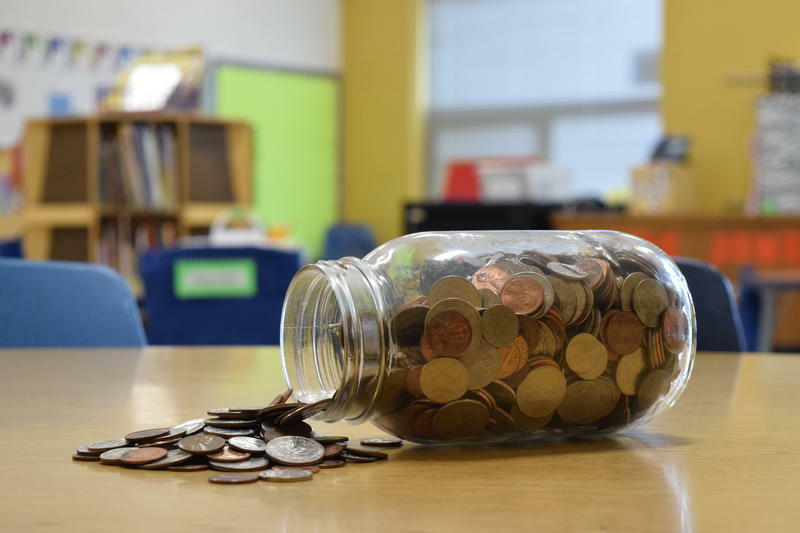 Officials with the Teacher’s Retirement System made a decision today that could add another $421 million to Illinois’ annual pension costs. Illinois' already strained bank account will be stretched by another $4.6 billion because of action taken by the state government's largest pension fund. New projections show nibbling around the edges of the state’s budget problems will get Illinois nowhere. Why Was Rauner Budget Proposal Greeted With Confusion? The Illinois House is set to return to Springfield this week. Meanwhile, policymakers are still puzzling through last week's budget proposal by Gov, Bruce Rauner, partly because his administration made a significant break with tradition in rolling it out. The immediate reaction to the governor’s proposal included confusion. Typically, the top budget aides to the governor meet with their counterparts in the legislature before the big speech. But not the Rauner administration. It's been a year since the state Supreme Court found Illinois' big pension law unconstitutional, and an attempt to get a new law passed is stalled. Lawmakers' goal is to reduce the state's expenses for its vastly underfunded pensions. 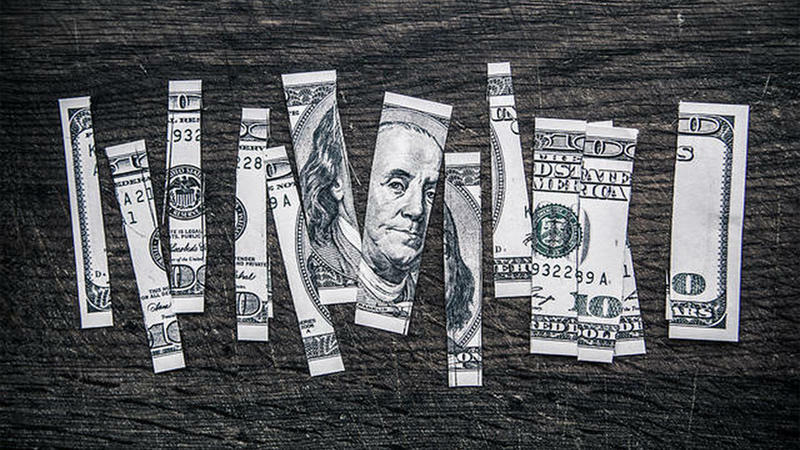 The court says it's illegal to do it by reducing an employees' retirement benefits. Senate President John Cullerton and Governor Bruce Rauner think they have a way around that.